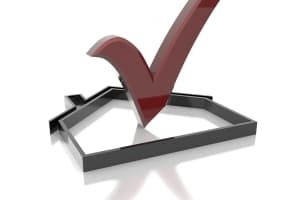 Helpful Tips on Seller Disclosure Dos and Don'ts | Fournier Law Firm, Ltd. If you have decided to sell your home, it may be tempting to make your listing appealing to potential buyers by leaving off some of your home’s “issues”. Perhaps they are issues you have learned to live with or do not feel are worthy of disclosure. In some cases, it might be a big enough issue that you feel it will scare buyers off. As tempting as it might be to not disclose a known issue, failure to do so could expose you to trouble down the road. If you are unsure whether or not to disclose an issue with your home, its best to error on the side of safety and disclose it. Even when its not required, it is a good idea to disclose previous inspection reports, no matter how old they are. It protects the seller from having the home purchaser claim they weren’t informed of a problem. Do not provide information to the buyer if you are not sure of the answer. For example the exact square footage of the home. Inform the buyer that you are unaware of the answer and put the responsibility on the buyer to find the answer. “It is much better to lose a buyer by clearly disclosing all known issues than it is to spend two years and tens of thousands of dollars in litigation,” is the advice certified real estate specialist, Adam Buck, provides.